The edited intervew was first aired on the March 26, 2015 edition of The Daily GRRR! This is part of a chat from the March 6, 2015 edition of AW@L Radio with Rachel from DeMilitarize McGill. 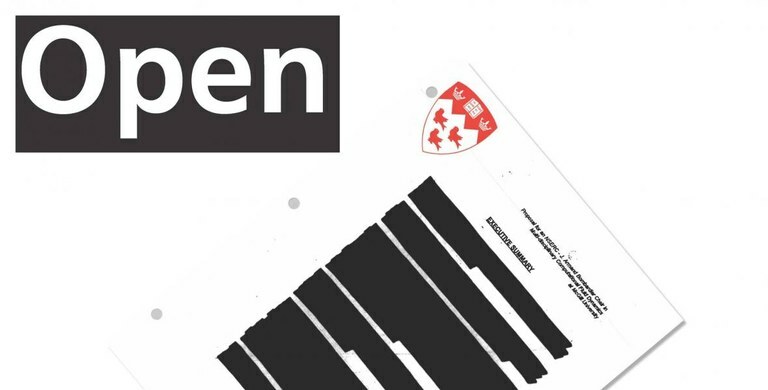 In this edited piece, she speaks of the group's many efforts in resisting the university's collaborations with the military industrial complex as well as some successes in revealing ethically questionable practices of some of the professors involved in weapons research through the school's Access to Information system. In November 2014, the Students' Society of McGill University adopted a motion which mandates the organization to support groups opposing military research, namely Demilitarize McGill. The podcast starts with a headline from the March 26 Daily GRRR! focusing on a DeMil McGill Action! Blockade at University Admin Building to DeMilitarize McGill! A press release from early on March 24 explains that around 30 people blocked all entrances to the administration building at McGill university, "as an act of resistance to McGill's unending history of participation in colonial and imperialist projects. It follows that we also oppose McGill's cooperation with the government in imposing austerity, which contributes to the militarization of the University while rendering the lives of students, workers and others more precarious." "We're blockading James Admin to disrupt the regular operations of the management of the University. In particular, we seek to interrupt the work of the offices of the VP, Research and the Office of Sponsored Research, which oversee the contracts through which McGill helps the military and defence contractors build drones and thermobaric bombs. This action also adds to the pressure felt by the administration; the more they use austerity to justify their collusion in colonization and imperialism, the more we will act to prevent the smooth functioning of this institution."